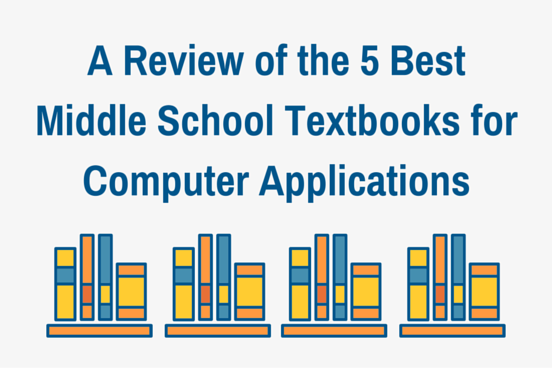 Have you ever asked another teacher: "What middle school textbooks would you recommend for Computer Applications?" If you are teaching middle school computer applications courses, at some point you'll be on the hunt for middle school textbooks and resources for your classroom. That search will take you on an Internet textbook safari, trying to track the best resources in regards to content, usability, and value. But unless you've discovered some kind of crazy time-creating device, you likely don't have the time to give the research it's due. 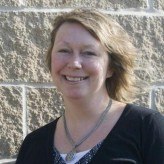 While we help many middle school computer applications teachers with our digital curriculum, we understand you will want to consider all of your options. We're simply going to share some basic information about each of these popular textbooks all in one place. So you can start your search here and then pursue which of these seems like a good fit for you. This text has received many accolades from teachers. They appreciate the direct, easy-to-follow instructions. These instructions are presented in a unique two page layout that shows students all of the steps at once. Learning outcomes are presented at the beginning of each lesson along with a relevant case study. "Quick Tips" and "Troubles" warn students about mistakes and errors that are easy to make and helps them learn how to avoid those cases. Authors: Dr. Jack P. Hoggatt, Dr. Jon Shank, Dr. James R. Smith, Jr. 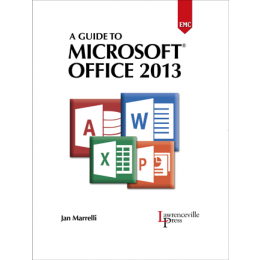 This complete text will cover everything from basic keyboarding skills to intermediate content on all the majors, such as word processing, spreadsheets, presentations, and datatbases in Microsoft Office 2010 and/or 2013. In addition, this textbook will cover basic computer concepts. All of this adds up to an up-to-date solid choice in middle school textbooks. Your students will be well-prepared with current business skills that will keep them competitive in today's world. 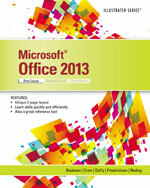 Pearson offers this comprehensive text that is ideal for teaching Microsoft Office 2013. The text is available in print or online and encourages self-directed learning. 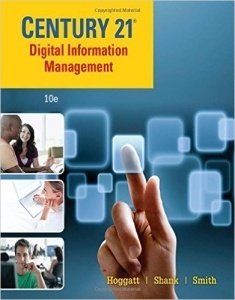 The clear and concise instructions include accurate screen shot images that help students succeed with the content. This is a solid choice for beginners! As a bonus, this text is noted to support Common Core Technical Standards. And they didn't forget the teachers either, as the text includes robust teacher resources. Did you know that CEV Multimedia has been around since 1984? In all that time, they've been "providing quality curriculum and educational resources for the subject areas of Agricultural Science & Technology, Business & Marketing , Family & Consumer Sciences, Trade & Industry and Career Orientation." Here's a great multimedia option for middle school computer applications. CEV offers what they call Multimedia Pathway Units (MPU). The MPUs are made up of various media all pulled together for the classrom. Of note is their Business Computer Technologies Pathway. It is made up of several MPUs including, Business Communications, Business Finance, Computer Basics, E-Issues, Essential Forms & Documents, and Microsoft Office Basic Skills. While all of these together add up to a hefty price tag, you can purchase individual MPUs that are more comparable in price to textbooks. EMC Publishing was new to me, but may be well-known to middle school computer applications teachers already. 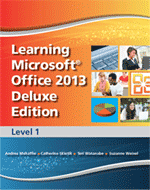 And that would make sense as they have a wonderful library of Microsoft Office middle school textbooks. What I like about this resources are all of the projects. Students will prepare letters, brochures, newsletters, blogs, PDF documents, invoices, pivot tables, inventory databases, and business presentations. With all of that, you know they are getting a comprehensive education in Microsoft Office. All the while, students are learning important skills and using critical thinking to complete assignments. This text also has what they call "bonus coverage" of many other important applications and programs including "Internet Explorer, SkyDrive, Outlook, PowerPoint, Publisher, and OneNote develops skills in web research, emailing, creating multimedia presentations, sharing documents, preparing marketing documents, and using a digital notebook." So while we cannot possibly review all the middle school textbooks for computer applications, we hope to have given you a great start by sharing what we've found to be some of the best texts on offer right now. Take a look at each of these options. While you investigate, keep in mind that in a blended learning classroom, a textbook may be just one of several important resources that you use with your students. One textbook may not be the one and only thing you need, but it's a great place to start. Happy hunting!